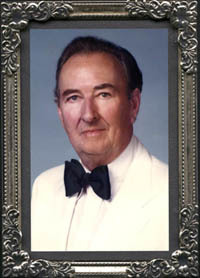 Mr. Ridley, a southern California native, has been involved with music since the late 1950’s. He earned his BA and MA degrees in music from California State University, Long Beach. He was a member of the 72nd U. S. Army Band as clarinet player and assistant conductor. After directing the Los Caballeros Youth Band in Carson, California, he taught high school instrumental music for nine years. 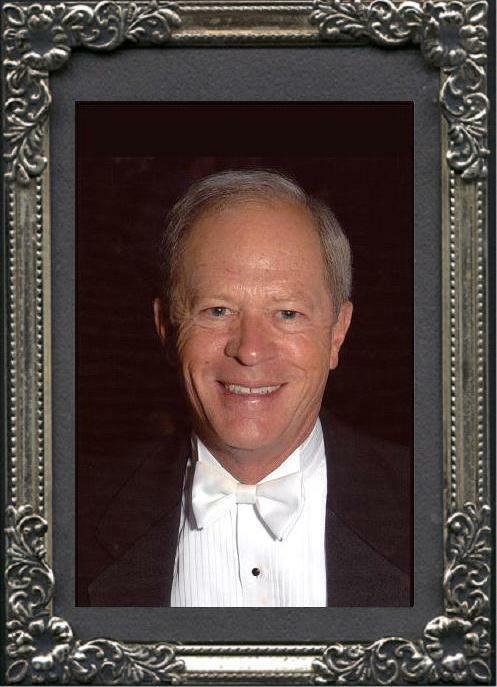 Tom has directed the Huntington Beach Concert Band since 1977 and is a member of the Association of Concert Bands. Dr. Don Holcomb has studied music since he was ten. As a clarinetist, he was a soloist in his high school and college bands. A graduate of the US Navy School of Music, he spent three years as a fleet musician on clarinet and saxophone. While stationed in Puerto Rico and studying with Dr. Roger Martinez, he was principal clarinet with the San Juan Symphony and San Juan Opera Company. After discharge from the Navy, he spent a year as principal clarinet and soloist with the Shasta Symphony. 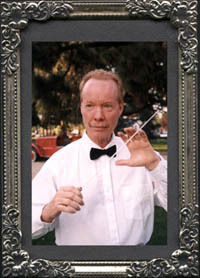 Returning to Los Angeles, he studied with the great Mitchell Lurie and performed with the Compton and Brentwood Symphonies, then 25 years as principal clarinet and soloist, with the Huntington Park Symphony under Alexander Riesman, three years as principal clarinet with the Musician’s Union Orchestra, and several performances of the Far West Opera Company. Dr. Holcomb’s band experience includes principal clarinet and soloist with Neo Classic Wind Ensemble, Los Angeles Police Band, Lockheed Band, Monterey Park Concert Band and Covina Concert Band. Dr. Holcomb has also appeared in a variety of wind ensembles, polka bands and swing bands, including the Clyde Reasinger Big Band. Dr. Holcomb began conducting in 1986, studying privately with Paul Kilian, then completing the Masters program at CSULA, studied under Dr. Buck. He became conductor of the Burbank Community Band (formerly the Lockheed Band) in 1987, the Los Angeles Police Concert Band in 1989 and the Covina Concert Band in 2002. He currently holds all three positions. Dr. Holcomb and his wife Mary, also a clarinetist and currently concertmaster of all three bands, together founded the Covina Youth Band, of which Dr. Holcomb is conductor. Dr. Holcomb currently holds a master’s degree in education, and also a doctorate degree. He also enjoys writing and traveling. Mr. Ubovich received his BA in Music Education in 1976 from San Diego State University and his MM degree in performance at California State University, Los Angeles in 2002. An alumnus of San Marino High, Mr. Ubovich has spent the last 24 years teaching in Los Angeles and San Diego counties. Mr. Ubovich is currently the director of The San Marino High School Instrumental Music Department as well as the district's music coordinator. His responsibilities at the high school include: wind ensemble, concert band, orchestra, marching band, jazz ensemble, as well as the elementary school bands at Carver and Valentine. His instrumental groups have traveled throughout the United States, Canada and Australia, winning top awards for their performances. Ben has been honored by the Southern California School Band and Orchestra Association in 1995 for his Meritorious Service, is one of 3 faculty members who received the "Terrific Titan" award in 1997 for his excellent work in the San Marino Unified School District as well as receiving the Who's Who Award among America's Teachers in 1998 and 2002. He has also been honored by the California Music Educators National Conference for his outstanding performing groups. In addition to teaching, Mr. Ubovich also spends every summer directing the San Marino Community Band on the Fourth of July at Lacy Park. The SMCB is composed of student musicians, alumni and members of the community who perform at the two-hour concert. 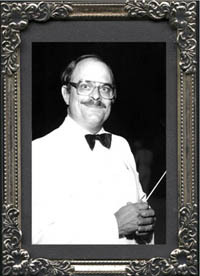 Paul Galloway joined the Covina Concert Band and became Director and Conductor in October 2000. He was born in Tacoma, Washington and has been involved in studying music since 1944 including performing, arranging and conducting. A good part of his musical experience was in the armed forces. As a part of the Air Force Command he performed as percussionist in the concert bands and became Assistant Band Leader, Director of the Dance Band and Stage Band, and Chief Arranger. In 1951 he toured and conducted the Fifth Air Force Band in support of TV and film star Jack Benny’s tour, entertaining American Troops stationed in Korea. In 1958, Paul arranged music and conducted a massed string presentation of 1,500 student violinists of the Suzuki School of Music, Tokyo, Japan. 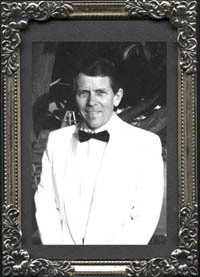 The Al Malaikai Shrine Temple Band in Los Angeles appointed him as Director and Conductor in 1984. During his tenure with this group they won numerous awards in the U.S. and Canada for their participation in National Shrine Band Competitions. Born in Hollywood, the son of a professional trombonist, Bill developed a passion for music early in his life. While studying music at California State University, Long Beach he played with the Long Beach Symphony, the Compton Symphony and the Disneyland Barbershop Quartet. Bill earned a scholarship award to Juilliard. While in New York City, he performed with the Radio City Music Hall Orchestra, the Les and Larry Elgart Band, and the Carnegie Hall Artist Series. Bill received an invitation from the premier American conductor, Frederick Fennell, to study conducting at the University of Miami. Since completing his Doctorate, Bill has taught at Northern Illinois University and Washington State University, California State University at Fullerton and, most recently, the University of Denver. Professional activities include being resident conductor with the Denver Concert Band, and giving conductor master classes at the Festival de Inverno in Sao Paulo, Brazil. Bill presented a paper on Wind Band Performance at the World Association of Symphonic Bands held in Valencia, Spain. He has appeared as a guest conductor and clinician throughout the United States and Canada. Bill is an avid collector of global band music. James D. Lytthans is an active performer, conductor, and music educator in the Los Angeles and Orange County area. A native of Southern California, Dr. Lytthans received his degrees from the University of Southern California and California State University, Los Angeles. He has studied clarinet with Kalman Bloch, Mitchell Lurie and Antonio Ramondi, conducting with Ingolf Dahl and Daniel Lewis, and has attended Master Classes with Jacques Lancelot (Paris Conservatory), Anthony Gigliotti (Philadelphia Orchestra) and Karl Leister (Berlin Philharmonic). Dr. Lytthans has performed and conducted in Germany, Austria, England, China, and Japan, as well as on records and film. Dr. Lytthans has recently retired from the Los Angeles Unified School District, after 35 years as a music educator, and currently performs with the Los Angeles Pops Orchestra, the Pomona Concert Band, the La Mirada Symphony Orchestra, as well as the Claremont Symphonic Winds. Originally from Montreal, Quebec, Canada, Charles relocated to West Covina in 1955. 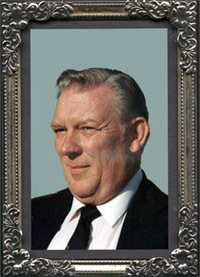 Mr. King directed bands and orchestras for over 35 years and was a retired commissioned bandmaster of the Royal Canadian Navy. As a Conductor, Percussionist and French horn player, he founded the Covina Concert Band in 1956 with 8 original musicians, His wife, Lillian, helped to organize and coordinate music for concerts. After 8 years, the band grew to a size of 45 musicians. He envisioned the Band to be what it is today with it's own band shell, uniforms, growing membership, and currently performing approximately 20 concerts each year in Covina and surrounding communities. Upon his retirement in 1988, the band shell was dedicated to Charles for outstanding community service and inspiring leadership. Look for More Biographical Information Soon.